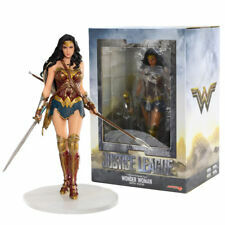 Mattel DC Comics 12" 30cm Wonder Woman Figure. 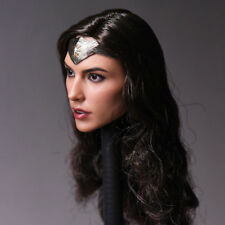 GREAT GIFTS FOR WONDER WOMAN FANS! Most Popular Movie Color: As picture show. IF YOU NEED IT AS NEW/GIFTS. We stand behind our products and our service. Should you change your mind, decide you do not like the colour or for any other reason you no longer want the product. 1pc Head Sculpt. 1/6 Scale, not real! Scale: 1/6. Ooshies "DC Comics Series 1" Pencil Toppoers 4 Pack New & Sealed! Wonder Woman! It is the loose toy (have never been played). 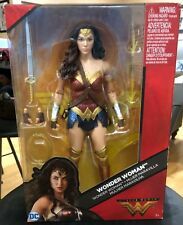 BATMAN V SUPERMAN DAH-002 DYNAMIC 8-CTION HEROES Wonder Woman figure new! This is the Canadian version released by Charan Toy.